As a person who doesn’t like eggs (not scrambled, not fried, not omelettes, not quiche not boiled not runny, not hard, not in a house, not with a mouse…) I sometimes struggle to find breakfast restaurants that I enjoy. Most places serve mostly egg dishes and a couple of waffles or pancakes for good measure. As a result, hubby and I have gotten pretty great at doing breakfast at home. I love a good pastry with my coffee, maybe an aged cheese and some jam and a fresh bread. 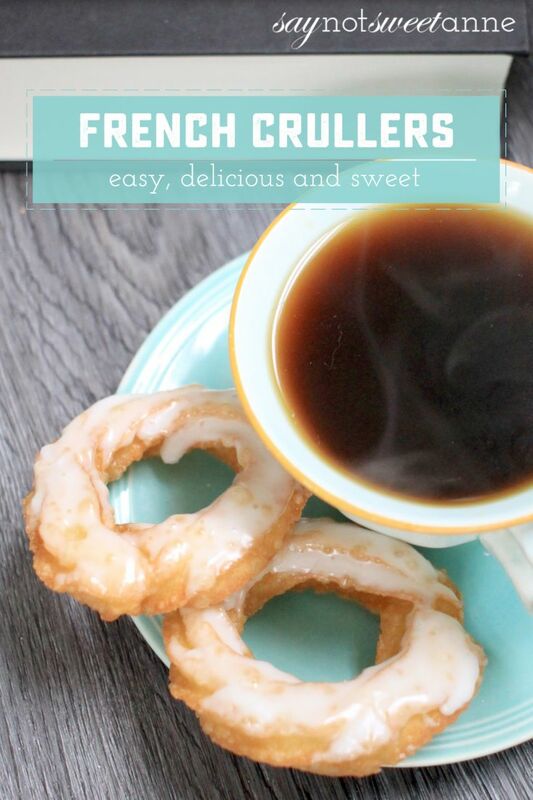 I’ve made crepes, kolache, chai french toast and countless others, but never a French Cruller Recipe. That is exactly how these crullers came to be. One Sunday, after watching far too much British Baking Show, I got it in my head to try a choux pastry. 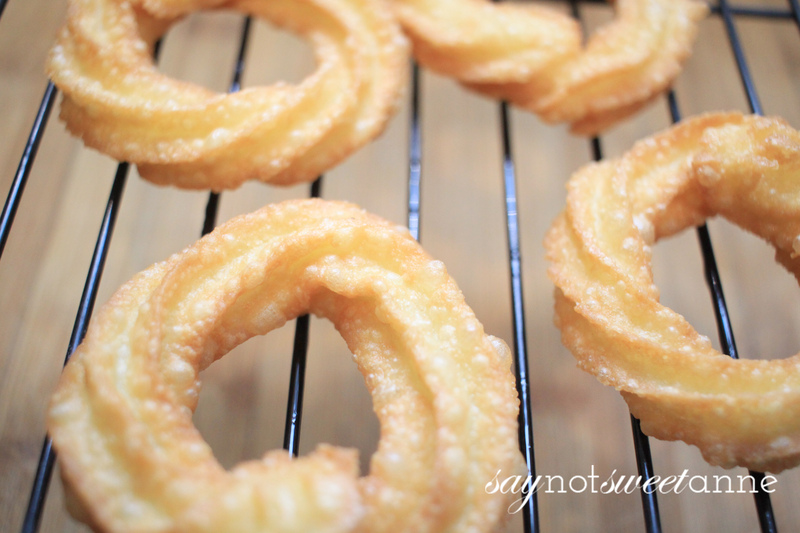 A couple of recipes later, I had an amazing, crunchy yet soft, savory yet sweet and delicious cruller! 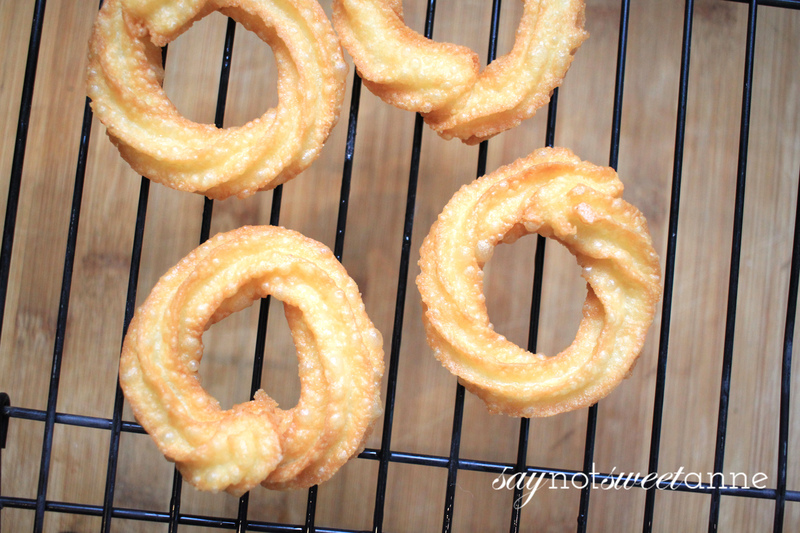 Considering this easy french cruller recipe, and how quickly they come together, these might just be my latest favorite breakfast food! 3 large egg yolks, 3 egg whites – all divided. It all starts by boiling the water butter and sugar in a large sauce pan. Once the mixture is bubbling, add the sifted flour and stir for 3 – 5 minutes, until a film is visible in the bottom of the pan. 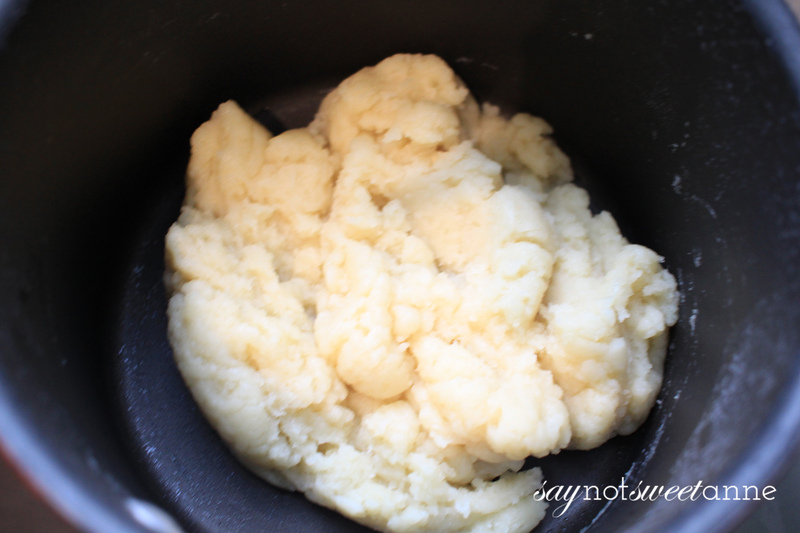 Move the dough to your mixer. To cool things down a bit, mix on low for about 1 minute before beginning to add eggs. (Remember, I don’t like scrambled eggs!) Add egg yolks one at a time, scraping the bowl in between. 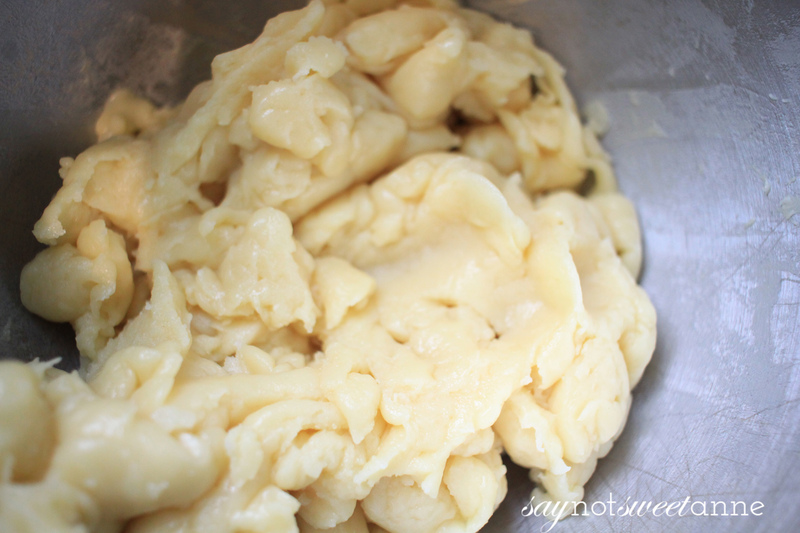 Then add one white at a time just until the mixture is glossy and holds its shape when you pinch it. Place the dough into the piping bag. 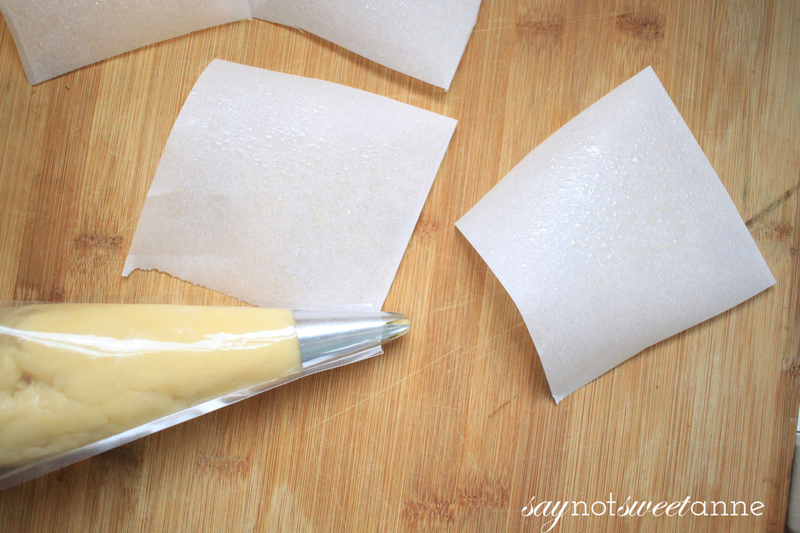 Cut several 3 inch squares of parchment paper. You’ll pipe your mixture onto these and then drop them into the hot oil from there. Pipe the mixture in a circle, making sure they overlap about 1/2 inch at the end. 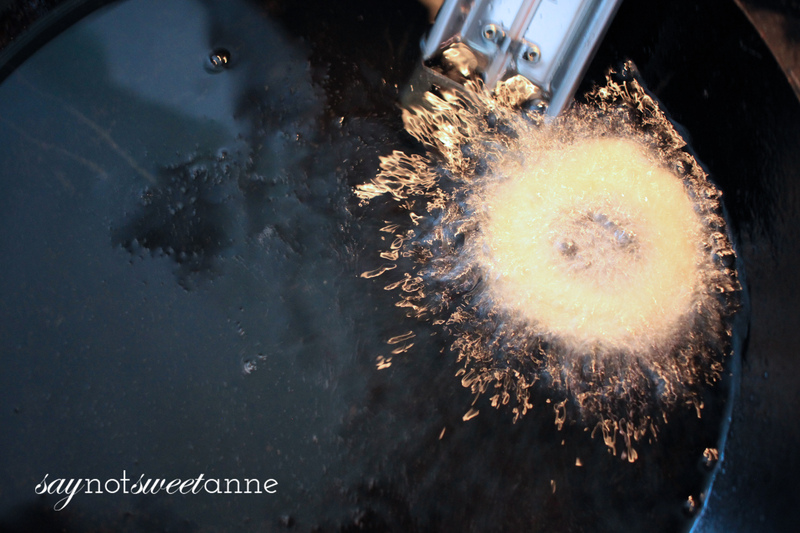 Allow crullers to stiffen up in the freezer for 5 minutes while your fry oil heats up to 350 degrees. To cook, you can try one of two approaches. If you are dexterous and your crullers are stiff enough, you can drop them from their papers into the hot oil at a very short distance. 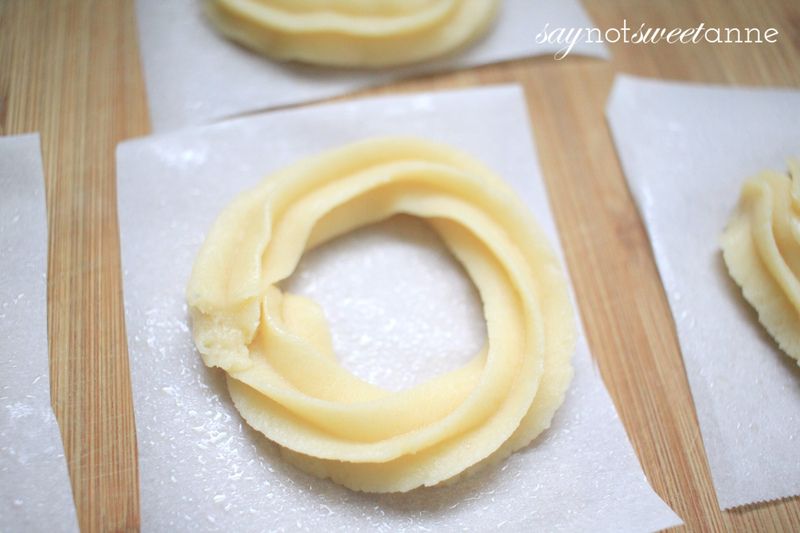 If you fail at that method – you can drop the whole thing, cruller and parchment, into the oil and then fish out the paper when it floats off the cruller. I’ve been known to do either of these as needed. Fry for 2-3 minutes on each side, until golden brown. If crullers deflate after removing them from the oil, then they did not cook through. Lower your oil temperature and try cooking them longer. 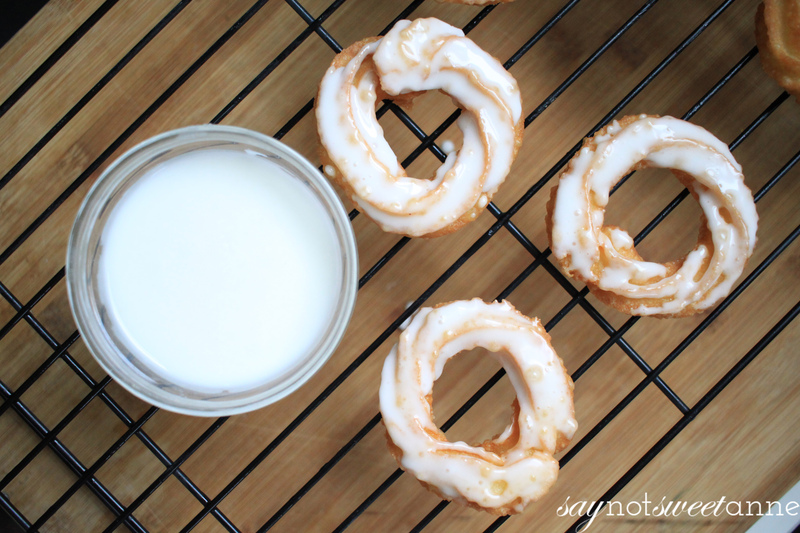 Move Crullers to a wire rack to drain, and glaze with a simple mixture of vanilla extract, powdered sugar and milk. A Quick and easy breakfast that is sure to impress!